Gravity-capillary surface water waves in a vessel of about 50cm. The surface is measured using the Fourier transform profilometry method (deformation of a projected pattern at the water surface). Schematic of the experimental setup for the study of gravity-capillary waves. 2D Gravity surface waves with an experiment in the Coriolis facility. 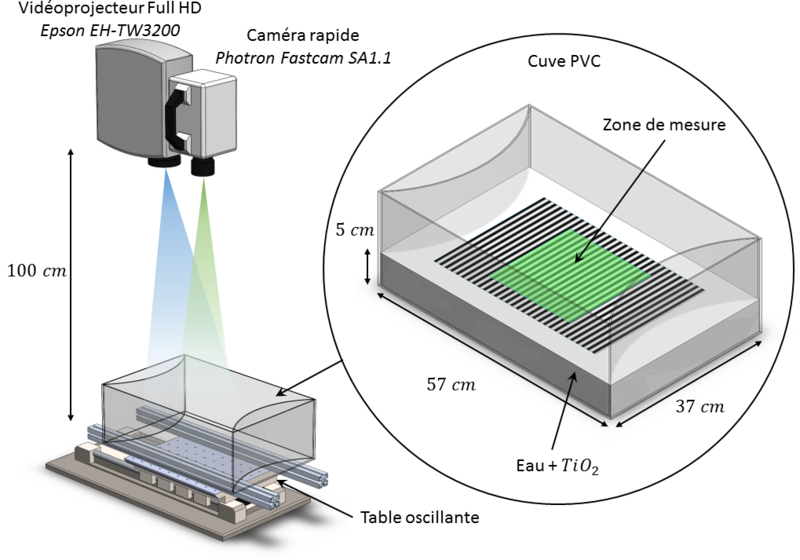 The measurements is performed by seeding the surface of particles and using a stereoscopic method. 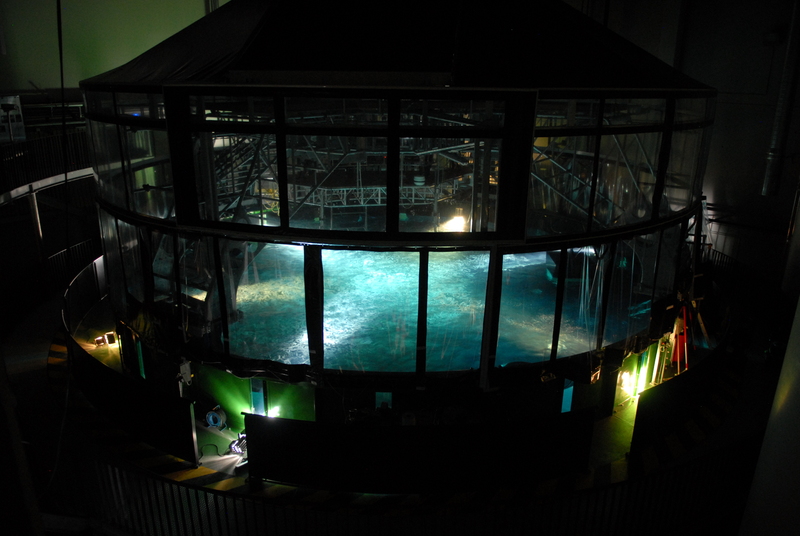 Coriolis platform during an experiment on surface gravity waves. 1D Gravity surface wave with an experiment in the 36m long canal. Internal gravity waves in a two layer stratification with an experiment in the Coriolis facility. The waves are generated at the interface between fresh and salt water. Waves are measured similarly to the experiment on 2D surface gravity waves. Internal gravity waves and stratified turbulence in a linear stratification (Coriolis facility). Bending waves in a steel plate.